Excellent vessel for charter! 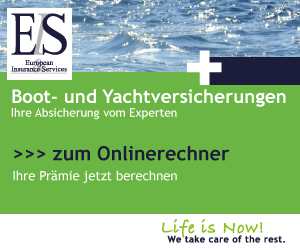 Turn around key conditions, start making money with your own Yacht! This stylish Azimut 62 s is a one of a kind design from Stefani Righini. Late delivered, from the first owner her interior is still like new and the owner always kept her under perfect conditions. All services have been updated this year and she comes with new generator and extended water tank! The kitchen you will find into a contemporary design and of course full equipped. The salon was upgraded with TV Sat and a fantastic entertainment system, that makes her as an ideal charter vessel for families or \\\"Playboys! 2100 HP allow a great speed of 34 kn or relaxing cruising with a very low consumption at 9 knots. Important to mention is, that the vessel comes with 3 cabins and 6 sleeeping places. The captain has a cabin on its own and there is already an Avon Jet 3.4 with 98 HP on board which is available on separate negotiations.